Do you have questions about when is a survey needed or do want to submit information for a free quote? Heneghan’s team works proactively to assist clients with establishing their survey needs to make sure our surveying services address all of your concerns and requirements. Our goal is to provide our clients with high quality surveying services meeting all required standards while being economically feasible and performed in a timely manner. Our expertise ensures that your projects will be started on the strong foundation of accurate surveys which is paramount to every projects success. HA’s professional staff provides continual communication throughout the project’s research, field work, office calculations, and final staking phases, in order to keep the client informed. This communication results in collaborative/cost-effective solutions. 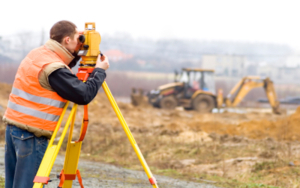 Heneghan’s highly trained team of 4 Professional Land Surveyors and survey crews has an extensive portfolio of experience necessary to address all of your survey needs whether it be a single lot survey of less than 1 acre or a large parcel of land consisting of hundreds of acres. The variety of our state-of-the-art survey equipment allows us to utilize the right equipment for the conditions/requirements of each project and to provide you with the precision required for each survey project. We are also supported by the latest technology in computer aided design/drafting. See OUR WORK for sample projects. Thorough background research and attention to detail in the field and office is essential to providing surveying excellence. Throughout the process, HA harnesses the latest survey technology, including Global Positioning System (GPS), state-of-the-art robotic total stations and electronic data collectors. HA maps survey results to the level of detail which best fits the clients need using the latest technology in CADD and highly trained technicians. 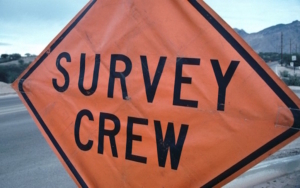 Heneghan’s team works with you from the beginning of the scope development through the end of the survey. Our vast experience in our 4 offices includes a large portion of southern Illinois. This work experience has provided us with good relationships with local communities/title companies/court houses, access to many records of surveys in this region, and familiarity with the local monumentation which ensures our ability to complete the work expeditiously and economically. 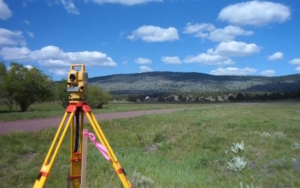 Land Surveying example projects can be found HERE.